Three concerts in one day? It must be Canadian Music Week. Concert Reviews. After my first full day at Canadian Music week I was tired and excited for the new day. I woke up around 11:00am still having plenty of time before the first concert. 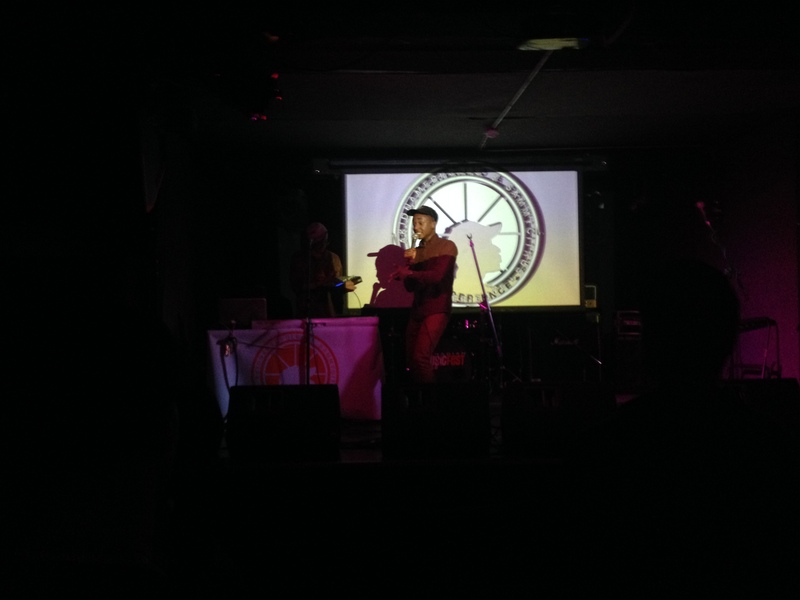 It was Thursday May 7th and the first show I was going to see was AKidnamedpollo and Sammy Citrus who were opening for Jazz Cartier at the Garrison (early that week I got a chance to interview them). I made it downtown for around 7:00pm and the doors at the Garrison didn’t open till 8:00. So I got a brilliant idea “hey it’s not that far I can walk it”. I was very wrong. It was lot farther than it looked on my phone. After about an hour of power walking all the way up Dundas I finally make it to the Garrison. The first thing the security guard says is “Do you have a ticket it’s sold out”. I show him my media pass and walk right in but that was a good sign. It shows that the city really supports local artists like Jazz Cartier. I grabbed water from the bar after that exhausting walk and moved closer to stage. Before the show Sammy and Pollo were showing me some of the graphics they were using for their set. It was simple but really cool. 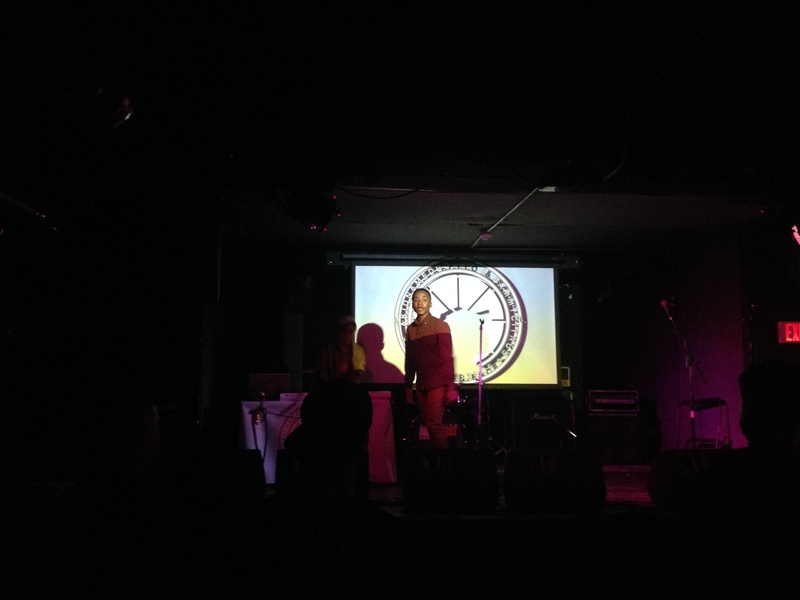 Their logo floated on a projector screen changing colour and moving as they performed. They have a really fun sound that makes for an incredibly awesome live performance. Instead of the usual track playing as the rapper spits his lyrics over top, Sammy actually remakes apart of the beat live. After the show I congratulate them on a great set. I couldn’t stay long because Hare Squead the Irish Band I really wanted to see, were about to go on at the Rivoli. So I hop in a cab and take off towards the venue. I get there just as the band before them was ending. This was their very first show in Toronto and the room didn’t know the greatness they were about to experience. They brought their whole band from Ireland to show Canada what amazing music sounds like. They start their set with pretending to get into a fight with someone in the crowd then go straight back into the song. 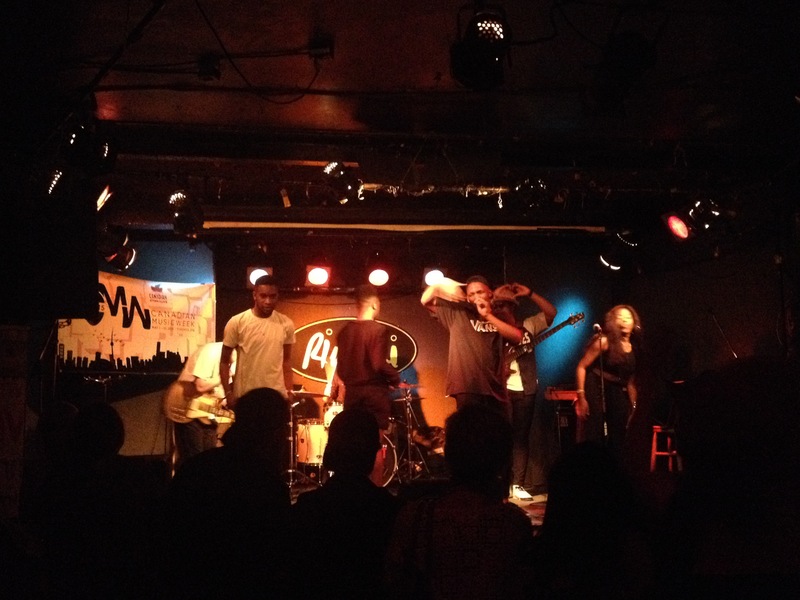 Their energy was incredible and it had the crowd at the Rivoli dancing their hearts out. Once their set ended my stomach was rumbling so I ran down the street to the A&W and went in on a teen burger combo. My friend was meeting me there because we were both going to see Monster Truck play at the Horseshoe. And it was perfect for me, the Horseshoe is almost next door to the Rivoli. My friend shows up to A&W wearing his monster truck jersey and is ready to go. He is probably the biggest Monster Truck fan I know (shouts out to Jacob for getting me to go see them). With my belly full of onion rings and a burger we step outside to see a giant crowd in front of the Horseshoe. My friend and I quickly head inside as we sit down at one of the booths at the back. After waiting a few minutes Monster Truck and their amazing beards take the stage. Once they picked up the instruments everyone quickly gathered in front. My friend ran through the crowd to get a better view. I was super tired so I chilled at the back but with every song I kept moving closer and closer to the stage. 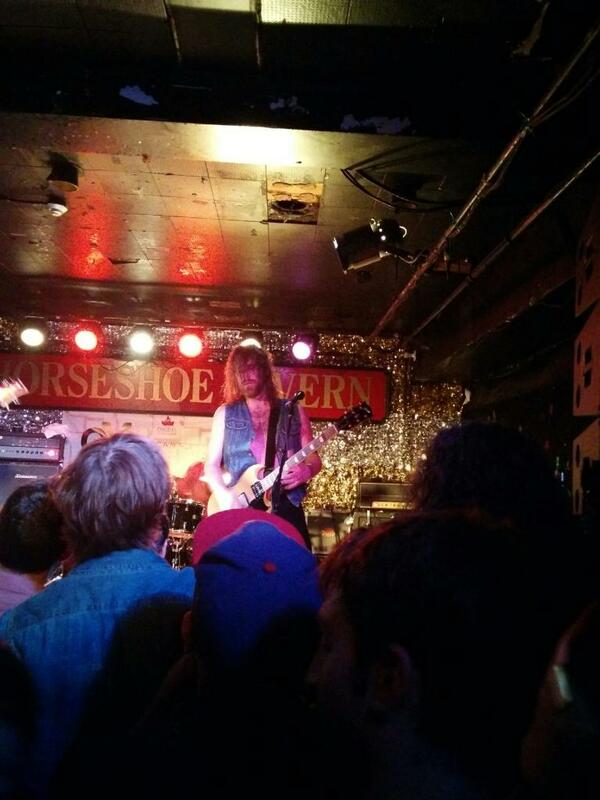 They rocked the Horseshoe so hard there was even a mosh pit, people chanting their name and some people crowd surfing. Every time someone crowd surfed I became my mom for a quick second saying things like “OH GOD BECARFUL!! !” After all was said and done they left the stage in one last crazy hurrah. My friend reappeared from the crowd looking exhausted from the pushing and shoving but he had the biggest smile on his face. People were starting to leave as most of the crowd still chanted “Monster Truck!” hoping for an encore. I honestly didn’t think it would happen because there was still another band to take the stage after them. But I forgot it was Canadian Music Week and anything can happen during CMW. 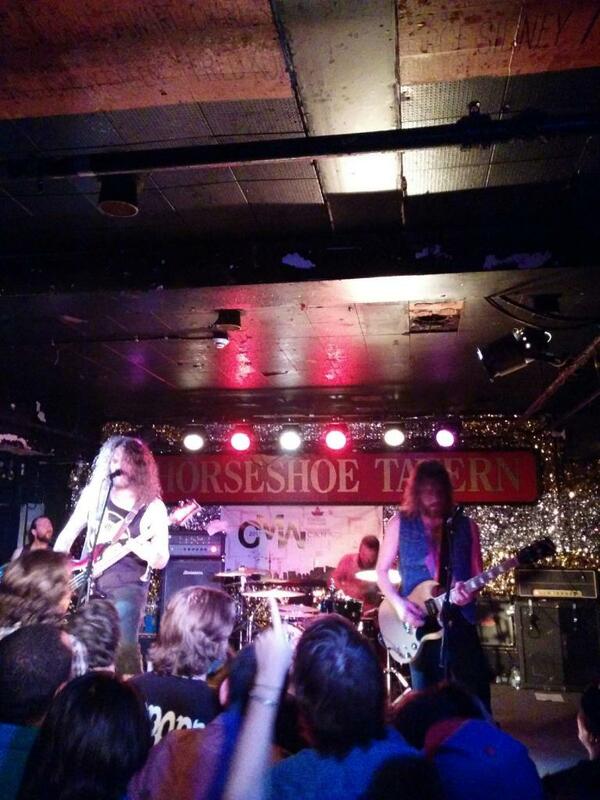 Monster Truck blasted everyone’s ear drums one last time with a stellar performance of “Righteous Smoke”. I can now see why my friend loves them so much. Man I love live music.